Why the price is hidden? 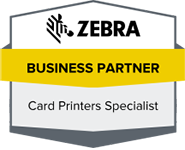 Zebra Card Printer have a Minimum Advertised Pricing (MAP) policy. We are required to not "advertise" their product below a specific price. The MAP price policy limit us to display the best price we can offer in the regular website. By login in, you will be able to see our real price. Cleaning your printer is one of the easiest things that can be done to help maintain optimal printing functionality. Cards carry dust and other tiny debris with them through the printer's internal print path. 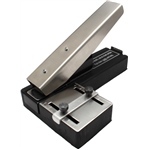 Dust and debris can potentially degrade your image quality and damage your printhead or other critical parts of your card printer. With routine cleanings, you can expect optimal image quality and a longer life for your card printer.